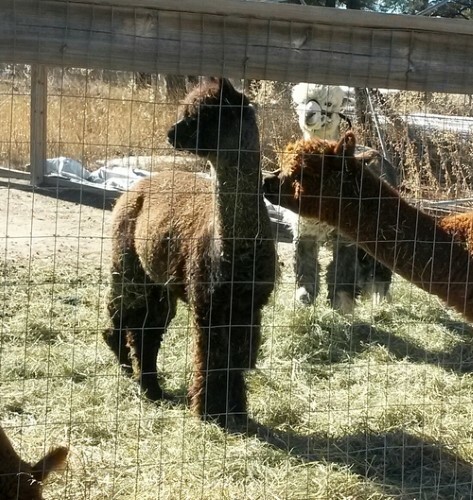 Avatar daughter with female cria at side! 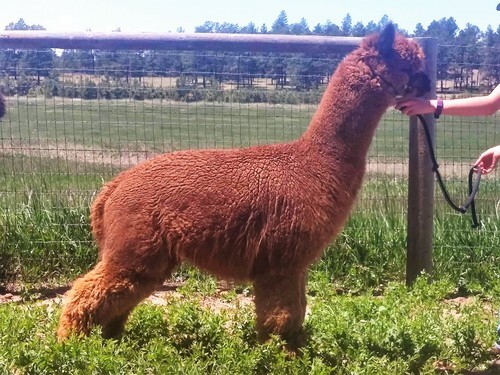 We have now added Antonia to our sales list with her adorable female cria born July 23rd. Medical needs are forcing us to downsize as quickly as possible. 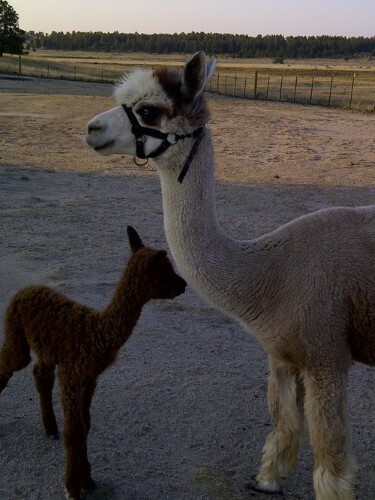 One of the first cria born at La Mancha, Antonia is a lovely light, lavender shade of rose grey. 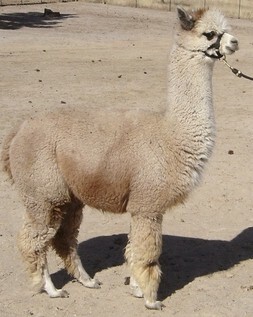 She has placed in every halter class she entered and is always a star in spin-offs. 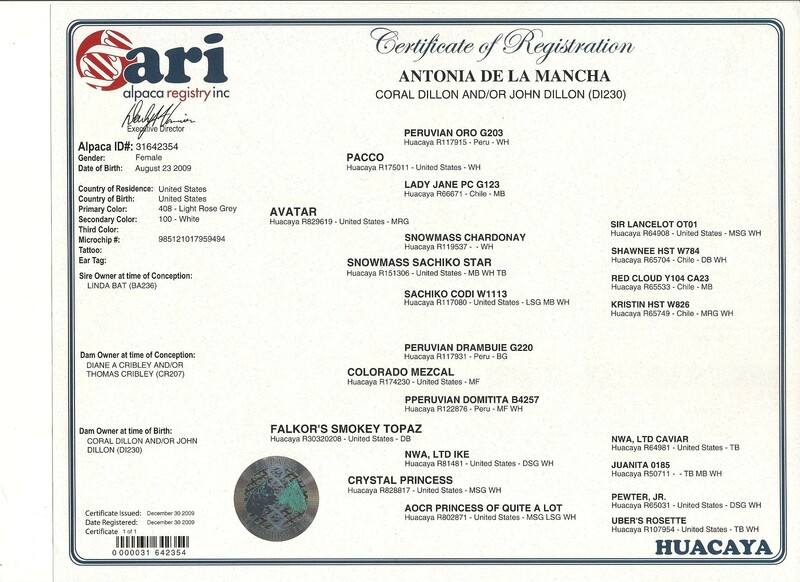 One spin-off judge gave her full points for crimp and architecture and commented on the ease of carding her fiber and the softness of the yarn produced. Another spin-off commented "nice handle; easy to spin; really liked this yarn, especially color; nice luster." The total score was 90 out of 100 possible points. The judges last comment was "This fleece made a nice lofty yarn--would also dye beautifully." The past few years, her fleece has been sold to hand spinners at marketing events. Antonia is a wonderful girl and a great mom. She produces color, color, color, as in Medium Brown, Modern Dark Silver Grey, True Black and a new little female who appears to be brown for now. Grey genetics are showing in all her offspring so who knows what the future may hold. Make us an offer on Antonia. 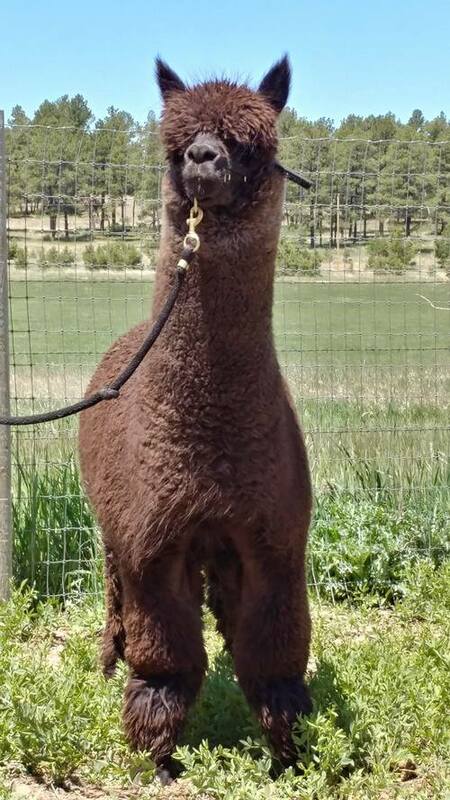 She is one of our favorites, and would be an excellent addition to any ranch wanting to produce high quality color offspring! Financing available to qualified buyer with 25% down.